We’re a few days into the new year now, and I’ve already got a dozen lists of things to do, which is better than a box full of “things partially attempted and mostly unfinished,” isn’t it? I considered making resolutions and posting them to various social media places so that folks could call me on them later, but I realized that my list would be short. Seize opportunities as they present themselves. Which is pretty much the list that led me to founding Resurrection House, and that seems to have been one of my better ideas last year. I’ve acquired almost twenty books already (though, only four of them are front list). I have more than thirty novels in the submission queue. I announced a reading period for the XIII anthology about three weeks ago, and I’ve already received more than a hundred submissions (pushing 450K in total word count). It’s only going to get crazier, I suspect. 2013 was a pretty good year for creative work for me, too, and so perhaps it isn’t a bad thing that I spend 2014 working behind the scenes. Earth Thirst came out in January, and then promptly disappeared into the morass surrounding the sale of Night Shade Books. Mongoliad Book 3 came out in April, which was a nice cap to that arc, and then Katabasis came out in October, and no one seems to have noticed yet. Well, that’s not entirely true. Sales have been good on the fourth Mongoliad book, but there’s a certain strain of ‘I didn’t know it was even out/planned’ in the commentary. For the record, Siege Perilous—the final Mongoliad book—is out at the end of the month. There were two Foreworld novellas last year: Beast of Calatrava and Seer. Beast, along with The Lion in Chains (co-written with Angus Trim) and The Shield-Maiden (written by Michael & Linda Pearce) were collected in print as the first volume of SideQuest Adventures, back in August. Fairwood Press and I assembled my short fiction into three ebook editions: The Queen of Faith, The Hollow Prince, and The King in Scarlet. A combination of factors prevented us from getting the last one into all of major outlets before Xmas, which is unfortunate as the final story in that volume is the long awaited Christmas story that I’ve been sitting on for many years. That’s a lot of words. No wonder my brain is tired. I’ve been waking up recently with my head filled with half-remembered narratives though, which is a sure sign that my brain wants to get back to story-telling. I managed a whole 1000 words of new fiction today. I’ve been doing so much editing over the last six months that I’ve started to feel invisible, working as a silent partner with other writers. Today, working on some fresh stuff, I found it hard to remember my own voice. Well, the voice I needed for the content. It came back eventually, but man, those writing muscles do atrophy quickly. Need to keep up a proper regime, after all. 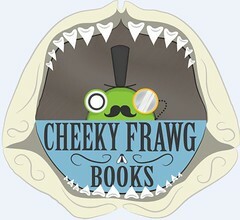 On the e-publishing front, I stumbled upon Jeff and Ann Vandermeer’s new e-book imprint, Cheeky Frawg. Slightly silly name aside, they seem to have nailed the basic fundamentals of the new publishing frontier: lots of content, new and reprinted work; ace design that is both arresting and simplistic–very necessary when your storefront is the web; and a certain amount of irreverence. Check out their 2011 publishing schedule. Trust the Vandermeers to be at the forefront of the new paradigm. I’m watching the Swedish version of The Girl With The Dragon Tattoo tonight. The film makes it abundantly clear that Larsson’s novel has at least three major storylines running through it. The film ditches a couple of the interesting side-notes (Mikael’s relationship with Erika, the cover story of him writing a book about the Vangers) in an effort to streamline things, but the film still blows through a lot of the subtlety of the novel. It’s a film that will probably seem even more archly foreign if you haven’t read the books, as you will keep wondering what it is that you’re missing (at lot, as it turns out). It’ll be interesting to see how Steven Zaillian adapts the novel. He’s got an impressive track record, so I’m pretty confident he’ll reduce it to something watchable. Which isn’t to say that the Swedish version isn’t; having read the novel, the film makes sense. I’m not sure it would if I hadn’t. At least it is easier to set up a blog this time. I remember the lengthy process of setting up and admining a blog package back in the day. This time, the installation was quicker than downloading the files. Of course, monkeying with the layout will take much, much longer, but getting the framework in place is a snap now. Which strikes me as somewhat funny, as my part of my trepidation about starting to blog again is the underlying suspicion that blogging is still dead. Well, in that sense of a lone voice shouting into the endless emptiness of the Web. Or is it? In watching the rapid change that is sweeping over traditional publishing, I find myself thinking that we’re about to enter an age where the lone voice can be heard again, when it should be heard. Suddenly, a lot of the stigma of self-publishing has been swept aside by the fact that there is real money in it. Again, the basic rule applies: ninety percent of it will sink over night and vanish, but those with real talent–the sort of talent that traditional publishing would eventually deign to notice–no longer have suffer through an abysmal apprenticeship in the salt mines of MMPB releases that disappear almost as soon as they are printed. If it takes two years for a book that is paid a $5,000 advance to come out, why wouldn’t the writer self-release it, write two more, and do the same with them during that same period? If New York is going to offer crappy terms and crappy money and take forever to pay you, why wouldn’t you do it yourself? And if the boom is good enough for New York to have bought it, then ostensibly, the market would love it to the same amount through the new digital distribution channels. Frankly, they could love it less, but you’d see that return sooner as the payment percentages are better. Night Shade Books is running a promotion this week on my first two books. $0.99 for the Kindle editions. It’s only been a few days, but already I’ve seen a tremendous spike in the ebook numbers. Yes, I know it is a temporary thing, but if my greater problem right now is obscurity, then this is the best thing. Also, the print sales (through Amazon, at least) have tanked, worse than they’ve been in the last six months. It’s too early to really draw any conclusion from all this, but my gut sense is that the tide is shifting. The cost of doing marketing and PR for a print book is too arduous for a starting writer to manage, but takes a lot fewer resources when you’re working on the Internet. More importantly, they are resources that YOU have access to versus the inaccessible PR wizardry that your old school publisher (might) have. It still comes down to writing, and writing a lot. That hasn’t changed. And writing something of reasonable quality. But your ability to realize some financial gain from that writing more immediately–and probably more effectively in the area of audience building–is starting to become attainable.